Meet the BK Impossible Whopper. Impossibly meaty, but without the meat. Should you make the switch? With vegan fast food burgers on the rise, it’s a great time to ask yourself whether or not you make the switch from beef to plant-based. 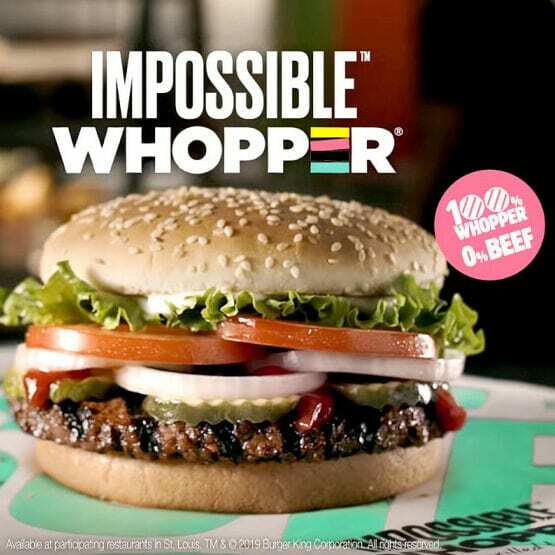 The latest player on the scene, the Impossible Whopper stands out from the crowd of plant-based options. Thanks to its secret ingredient, heme, Impossible’s burgers ‘bleed’, cook, and smells like meat. Impossible Foods wants you to trade in your beef burger for a plant-based burger and aspires to make your transition seamless. Read the full article to see how the two burgers compare across a range of dimensions, from health to environmental impact. Hi, the link above is not working!